Well, this is Fae Ellington on the "Morning Ride". What you think about the morning ride sir? Well, the morning ride is a very nice ride. Morning ride a the longest ride! Give me the morning ride. You slip and you slide you went broke your backside. Slip and you slide you went broke your backside. No matter where you run, you just can't hide. say me nah go, say me ??? Me a go tell you 'bout Fae Ellington. She work inna JBC station. She born Gemini month inna Portland. Come on, me take a 23 go a JBC. I didn't sight Fae, but I sight her man. He say I must come back quarter to one. I didn't take a bus, I take a minivan. The back of the van was Fae Ellington. Say on my way me a go a St. Anne. Me buck up [meet] the girl named Fae Ellington. She say "Yellowman me no love dat deh one." Say "Lord! 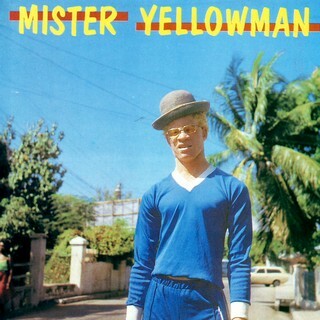 Yellowman I beg you sing a love song." And deeper than the deepest sea. That's how I will love you. You dweet [do it] on the bed. You dweet on the ??? You give me side-way and you give me front-way. I don't feel no way I went dweet same way. Me just a tell you 'bout Fae Ellington. Come on, me didn't take a bus, so me take the minivan. And everywhere me go they just a call Yellowman. Some a drive up bus, car and minivan. And some a dem a wave up them hand. And some a dem a bawl out: "Yo Yelloman!" Give me the morning ride. Fae! Say "Lord! Yellowman me no love dat deh one." Say "Lord! Darling I beg you sing a love song."